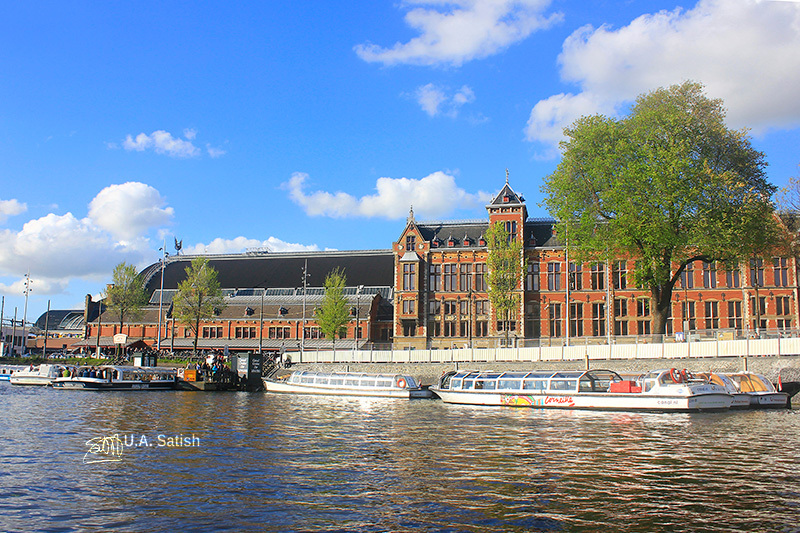 Amsterdam is the capital of Netherlands. It is famous for its canals, narrow houses with gabled facades and windmills. The citizens of Amsterdam are avid cyclists and there are 400 km of cycle paths. 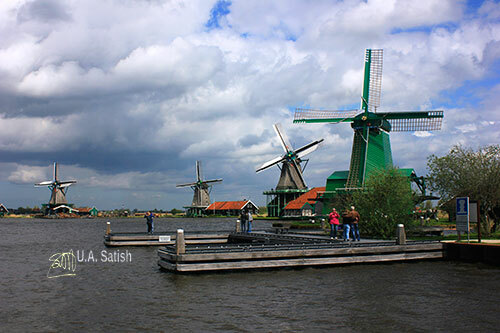 Zaanse Schans can be reached in 40 minutes by bus from Amsterdam Centraal. It was rather windy when we visited. The day was mostly sunny. What caught the eye first were the old wooden windmills. There are a few of them which are being maintained in good working condition. The mills are used for sawing wood and grinding oil, flowers and spices. There are several shops selling souvenirs, gifts and cheese. 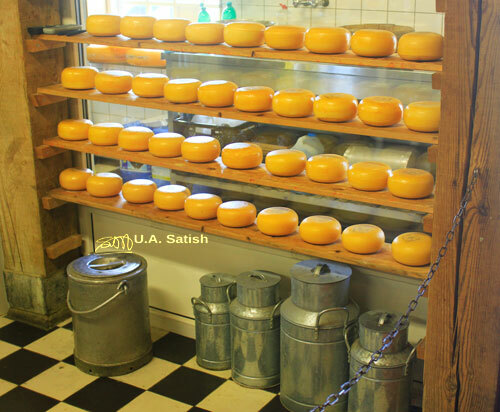 I tasted different types of cheese and finally chose smoked cheese. It was delicious. We found ducks and sheep all over the place. 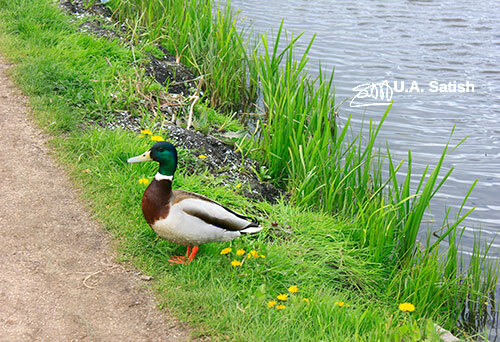 The duck in the photo above walked out of the water and stood motionless till I clicked the shot.